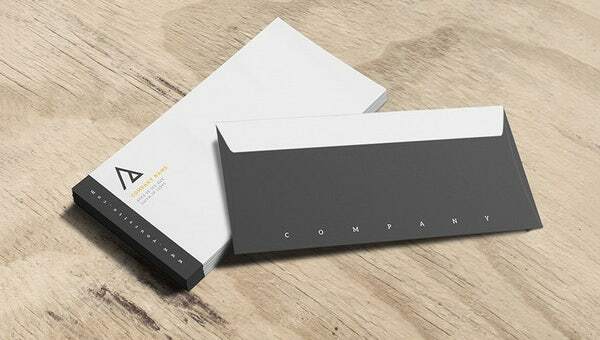 A business envelope is usually an elongated one to carry the long business letters fold in a rectangular way. You would mostly need a large, wide #10 size envelope here with a dimension of 6 x 9 1/2″. These have elongated flaps on top. 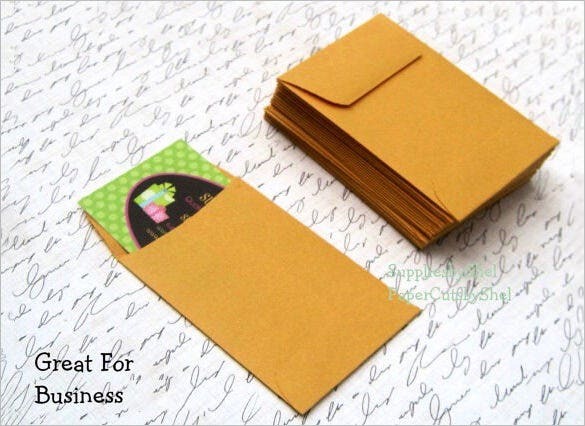 You can use a money envelope template here to create your business envelope. 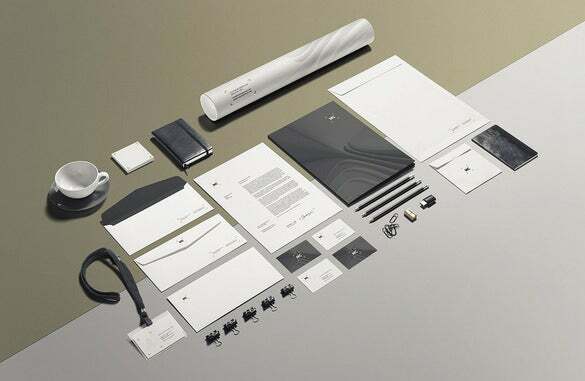 Present your data in a high-quality business envelope to impress clients and customers.There are varieties of business envelopes available for the different purpose. Make sure to use relevant color, size, and paper weight for different purposes like appointment letter, bonus envelope, quote letter etc. It offers a horizontal card with 3.5”x2” dimension with 300 DPI. 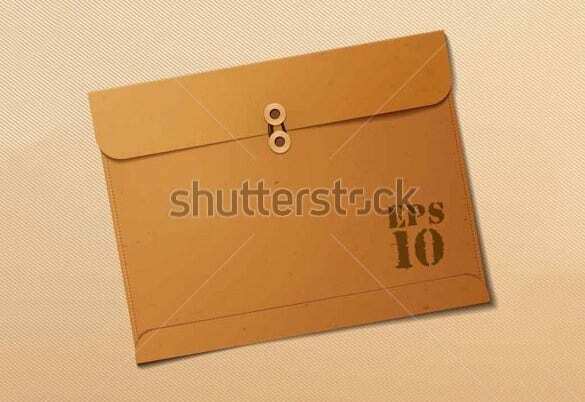 This business envelope has the high quality detailed texture with stylish elements. This large business card envelope can be used for both business and personal use. This template is easy to edit and customize. 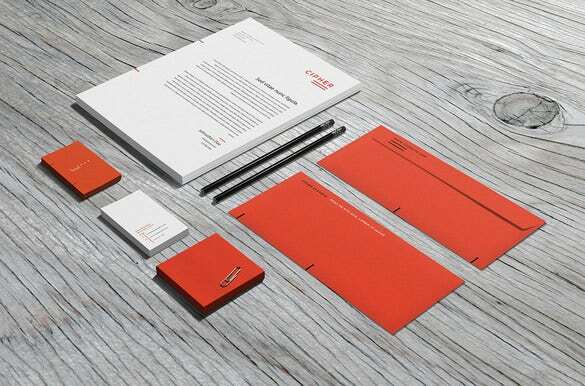 It includes 8.5”x11” letterhead, 4.125” x9.5” envelope, and 2 business cards with dimension 3.5”x2”. It comes with 4 reference images and 1 readme.txt help file. 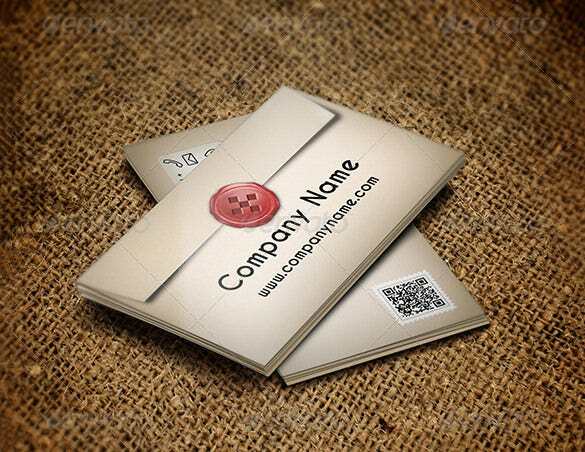 Business envelope template is a masterpiece to show creativity. You can modify its color and font size to match the purpose. This template offers a formal and decent look. 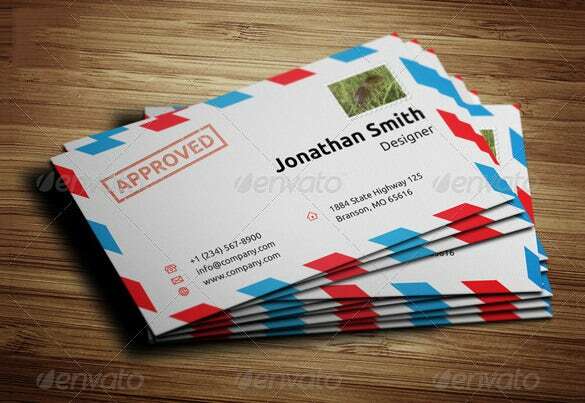 This 2.5”x3.5 inches business card templates can be used to insert business and enclosure cards. This 24 lb orange kraft paper holds coins and keys. It can hold jewelry too. 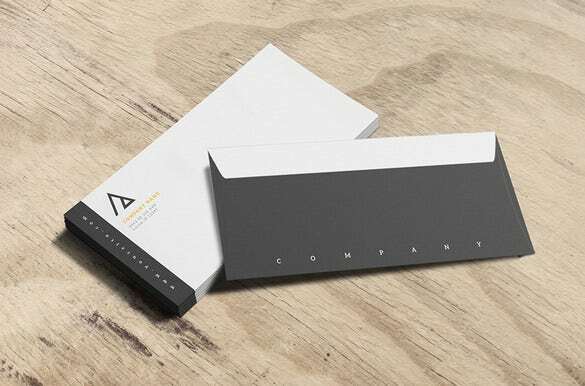 The business logo envelope template comes with 9.5”x4 1/8” dimension. It is used to hold 8.5”x11” paper. This template works fine with both inkjet and laser printers. This horizontal card is fully editable. It comes with CMYK colors, double sided folds, 300 DPI with 3.5”x2” dimension. It contains 2 Photoshop files with a readme help file. This business envelope has 2705×1800 resolutions. Its dynamic shadow enables you to rotate and resize the object. 300 DPI objects help to enhance the mock-up size at 1-1 scale. This template is available in high-resolution and different sizes. You can select the best template in terms of size and resolution that fits your business needs. This template is easy to edit and customize. Adjust its size as per your needs. The other features of Vector EPS templates are CMYK color, Print ready and printing bleeds. 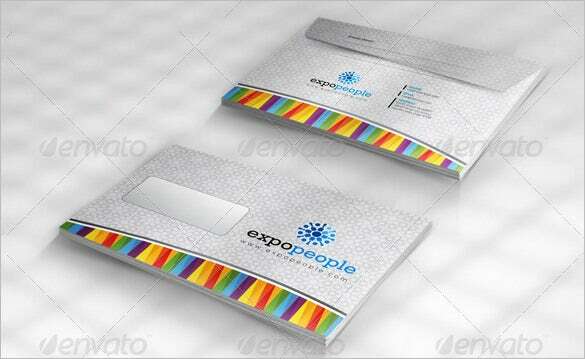 The size of this fantastic business envelope template is 9cmx5.8cm. It is used to place gift card, business card, and note cards. 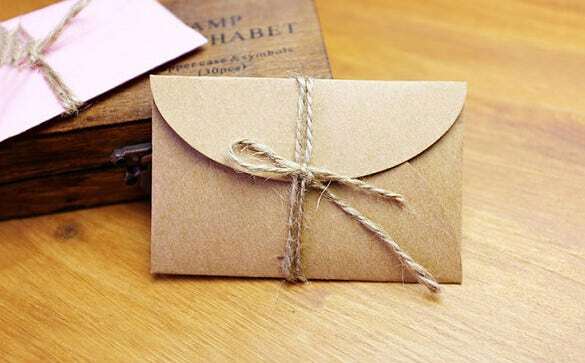 Use ribbon, Washi tape, sticker to seal this envelope. 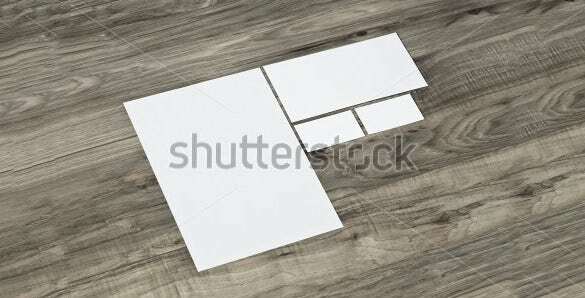 This envelope is available in 6 template files. You can use it to hold both US and international size papers. It has organized layers and changeable backgrounds. It’s a perfect template to distribute bonus among the staff. This envelope is adjustable and editable. You can adjust the theme as per the festival or an event. 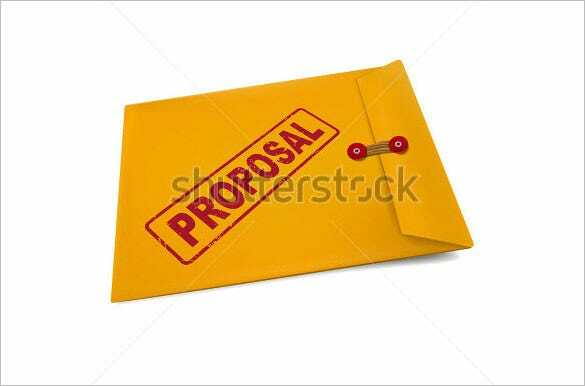 The business envelope sample is meant for all the official letters including appointment letters, promotion announcements and so on. 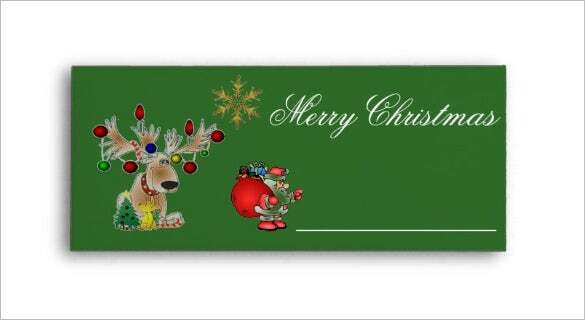 However, you can also use business envelope for sending slim stationeries as gifts to clients in Envelope Templates. Business envelopes are designed to inbound and outbound information and products. It’s a decent way to distribute official letters like promotion letter, appointment letter, bonus etc. It can be used to send gift items and other stationary gifts to clients.